Re: Many Maschine users here? That's dope, man! I got to say, Maschine products have that modern, stylish look I just can't get enough of especially with that black finish. I also love how compact they are, yet having everything you need from a sampler without taking too much space. 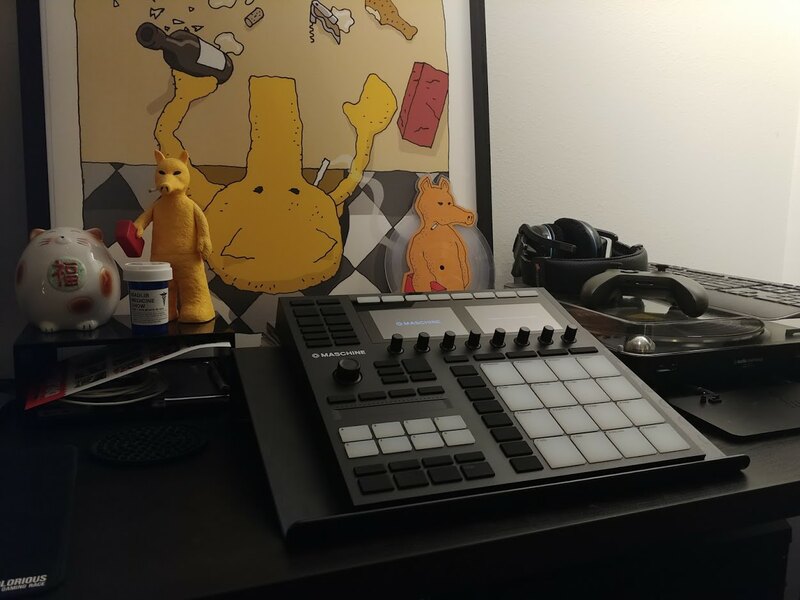 I own a MPC Renaissance, and let me tell you, it takes up half of my desk space. A year or two back, I actually considered swapping the Ren for the Maschine Studio, but ended up not going through. It's not the machine, but the person wielding that machine. And, well, I have an affinity towards Akai. Anyway, have fun with it, man! Hope to hear some of your work in the future! Yeah they look really nice, especially when everything is lit up. The Komplete Kontrol Mk2 keyboard has the same styling. It can get crazy with it's keylighting like in mine below where I have a Battery track selected and it makes each key light match the cell colour in Battery. Great for Kontakt instruments as well which key zones and splits etc. 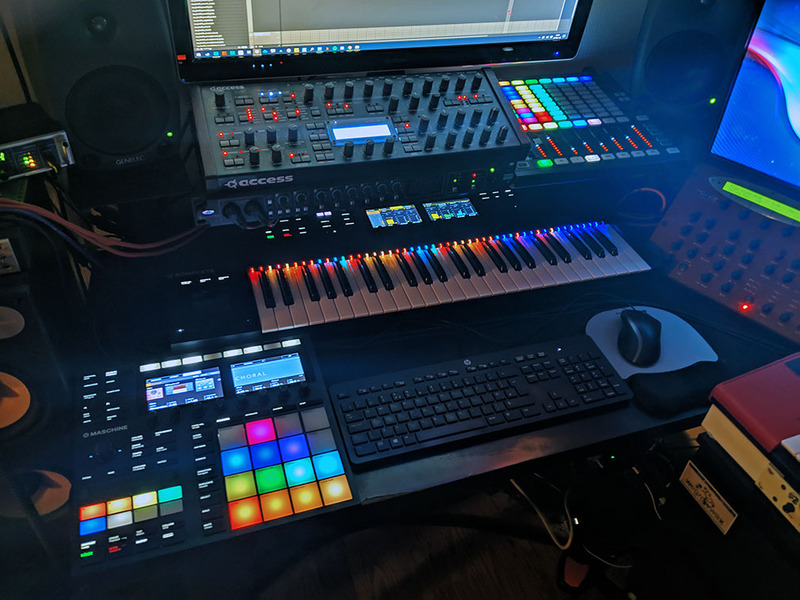 I was delighted when the Mk3 was announced and I saw it was the same size as the Mk1+2 as I have no room for something the size of Studio or top end MPC. At least not on my desk right in front of me where I would want it. Dang you have a nice set up, fancy! Suffice to say i've never been bored when I have that in front of me. I Think The Same Thing ! That's Not The Machine Specially But The Person Behind That !!! This topic escalated real quick. B-jams needs a commission on that sale ha! So GC you made any joints yet? Last edited by HeavyDrama on Tue Dec 04, 2018 5:07 pm, edited 1 time in total. My work schedule is insane, not gonna get back to normal until 2019 sadly so it's just been sitting here. It's my New Year's Resolution to start learning how to make some music... might be some time before I get the courage to show anything I'm working on lol. Can't wait for the day I can participate in one of the beat battles. No, NI Maschine does not have his own sound its just a software sampler. Is no different from combination of Drum Rack with Sampler at Live. Agreed. Who said it did you though? I feel like i've missed the post you are replying to.